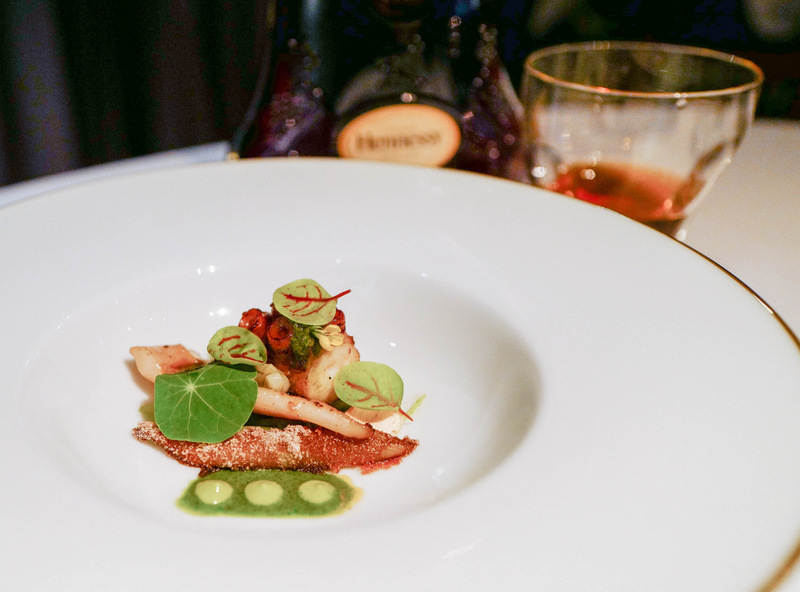 The culinary equivalent of Homer's epic poem comes to Kuala Lumpur this month, courtesy of a collaboration between Hennessy & celebrated Malaysian chef Darren Chin: The Hennessy X.O. 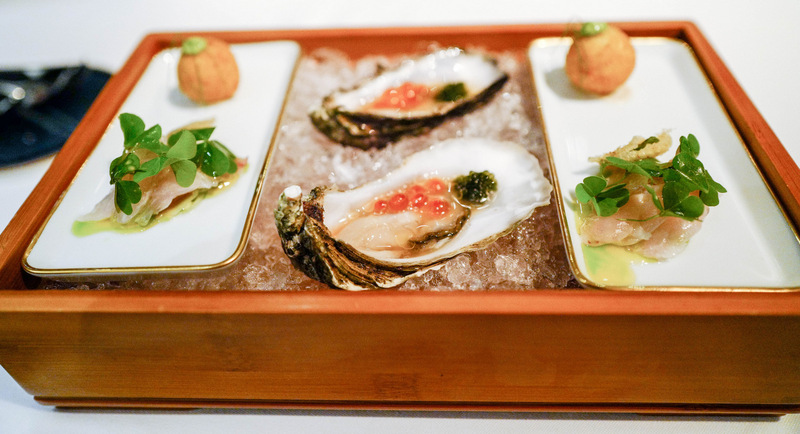 Odyssey could be 2017's most rewarding journey, traversing oceans abroad & farms at home, conveying seven courses to caress the senses, each chapter complemented by evolving expressions of France's original 'extra old' cognac, first bottled by Maurice Hennessy for his closest of friends in 1870. The Hennessy X.O. 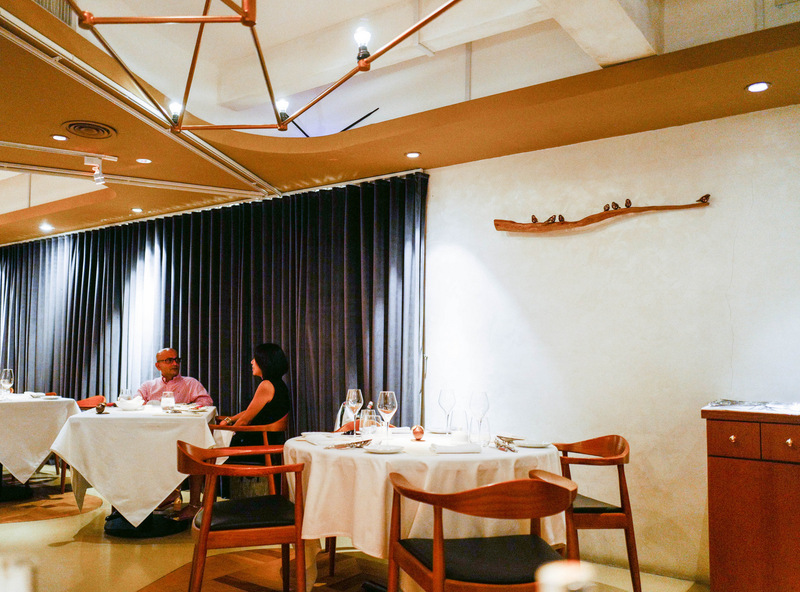 Odyssey takes place July 18 through August 15 at Darren's DC Restaurant in Taman Tun Dr Ismail, a suitably elegant setting for a dinner this delightful. 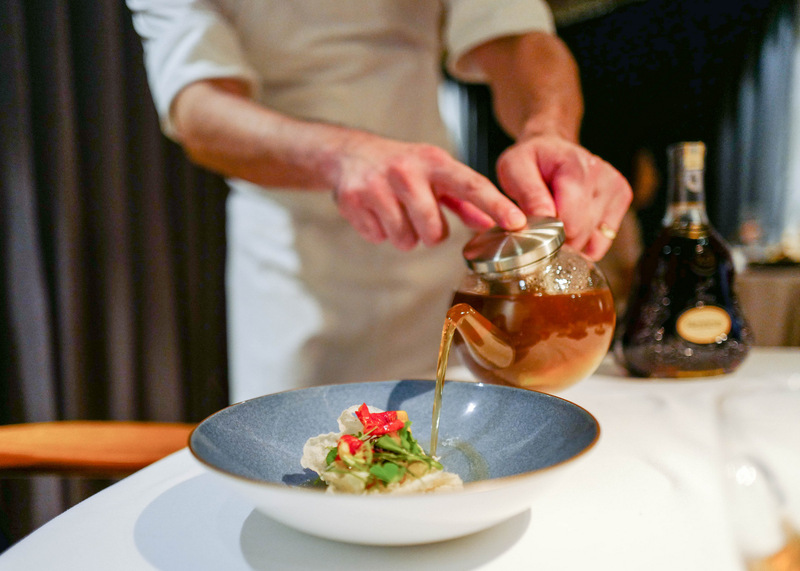 Having cooked professionally for 14 years & trained in France for two, Darren was handpicked by the House of Hennessy to helm this year's Malaysian arc of its global X.O. Odyssey campaign, which explores the contours & contrasts of cognac like never before. Darren's prelude to the main Hennessy meal is a reassuring reflection of his skills & artistry, whetting the appetite via Cameron Highlands beefsteak heirloom tomatoes with olive oil & DC's house-baked bread & croissants, followed by Irish nugget oysters with ikura, umi budo seaweed & ponzu sauce; local sole, ceviche-style, with basil oil, wood sorrels & tempura of curry leaf; & potato croquettes with green gazpacho. 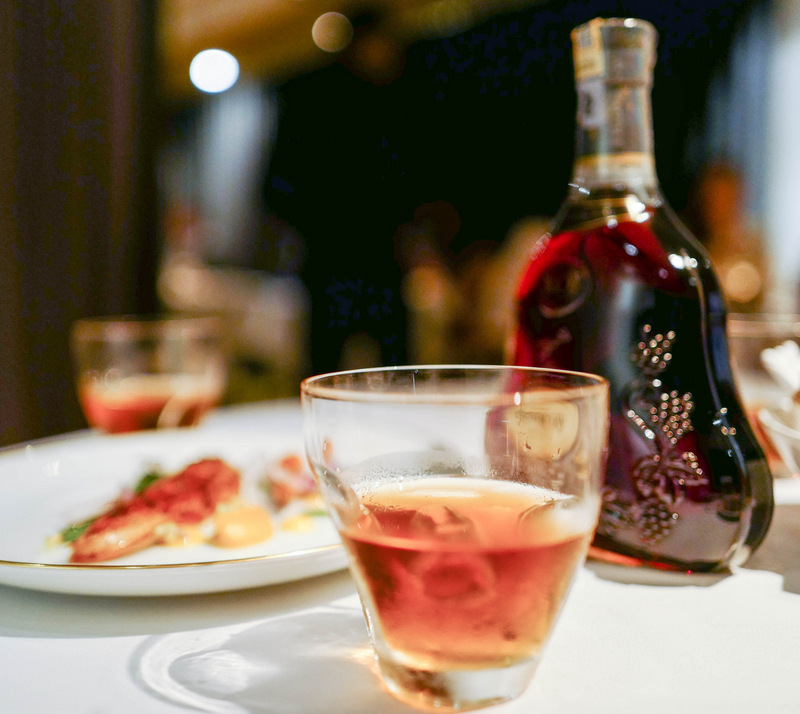 Sweet Notes is the Odyssey's first salvo; each title illustrates the complex facets of Hennessy X.O., served in multiple styles that partner spectacularly well with Darren's meticulously curated recipes. 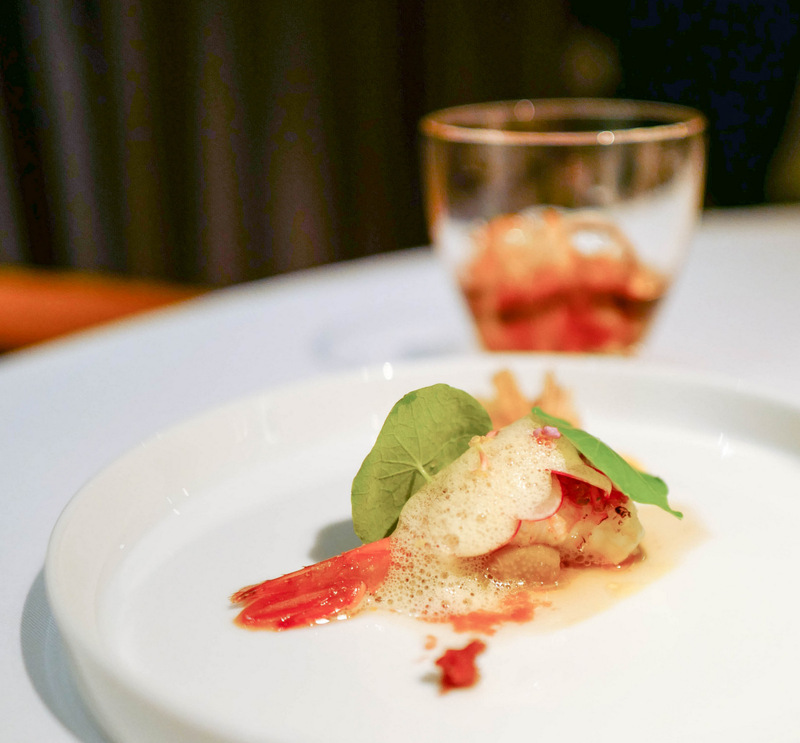 Luscious, lightly cooked botan ebi is plated with heirloom tomato granita & fried leeks for cold-&-hot dynamics of temperature, buoyed by grapefruit foam for acidity, rounded out with konbu, chilli oil & mustard dressing. Take a bite, then perhaps a sip of the Hennessy X.O. 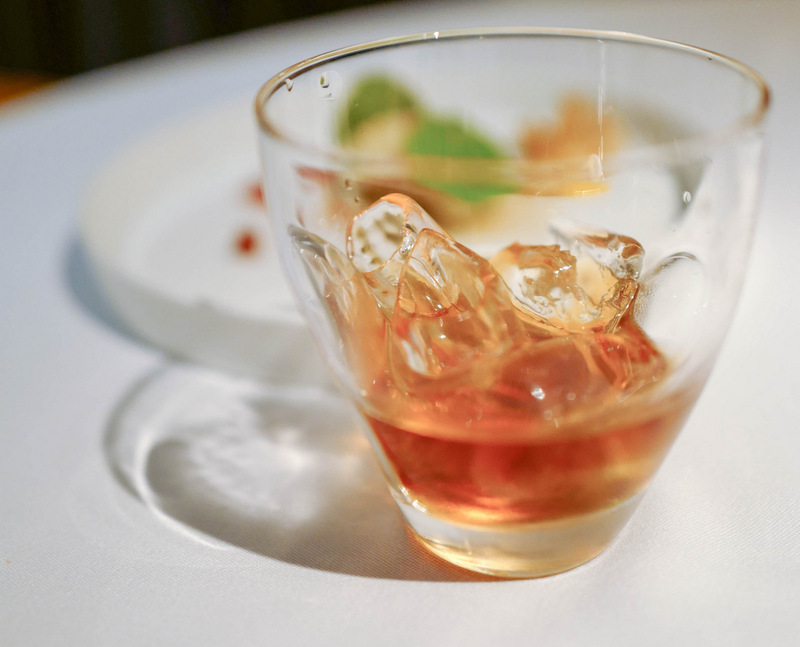 (served on the rocks for a gently nuanced start, presented in Baccarat designer Thomas Bastide's iconic X.O. 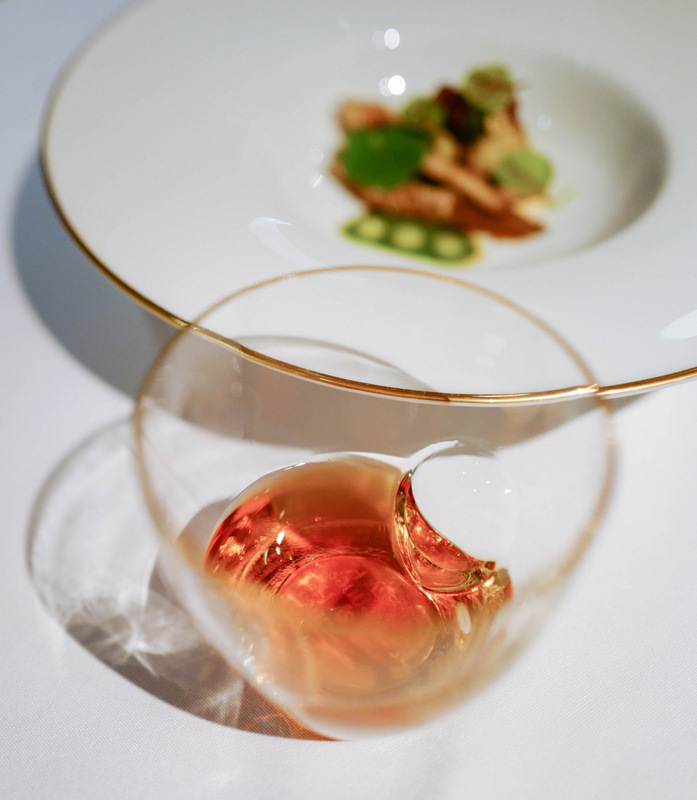 glass), savouring the unique apricot-orange candied notes that come naturally from the maturation of eau de vie in Hennessy's prestigious barrels. 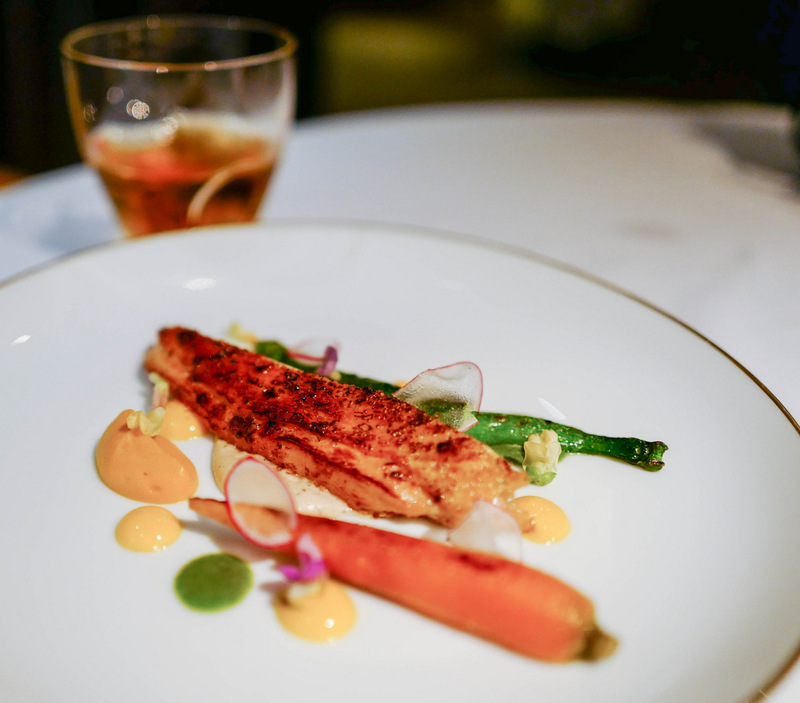 It's a playful coupling of food & beverage, proving that the caramel-hued cognac can triumph like a fine wine in chaperoning a meal. Infinite Echo comes next, an evocative name for a genuinely great course. 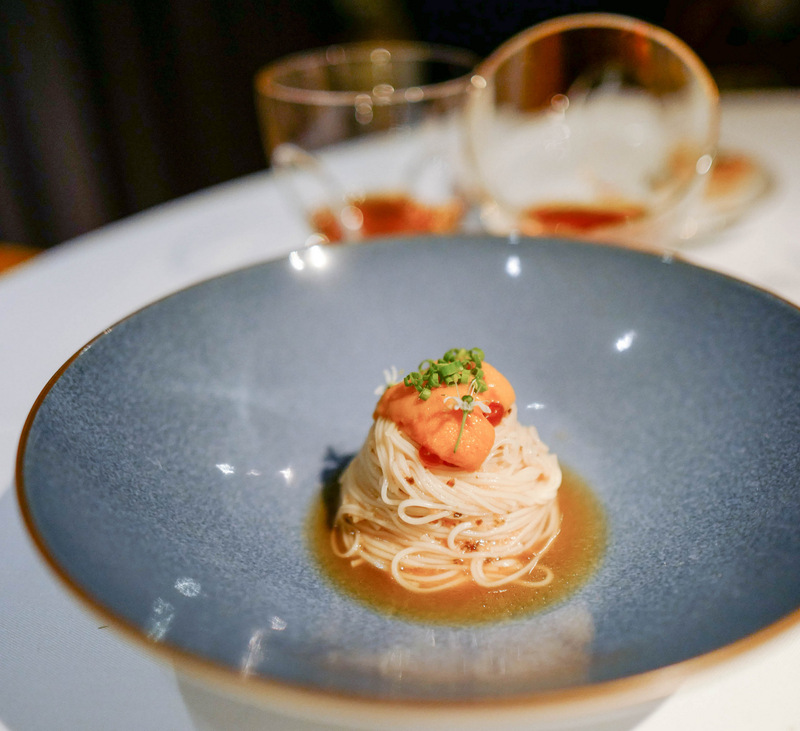 Darren's signature offering of Ogawa bafun uni from Hokkaido with Takao cold somen & truffle celeriac cream is a marvel on its own, but paired with Hennessy X.O. 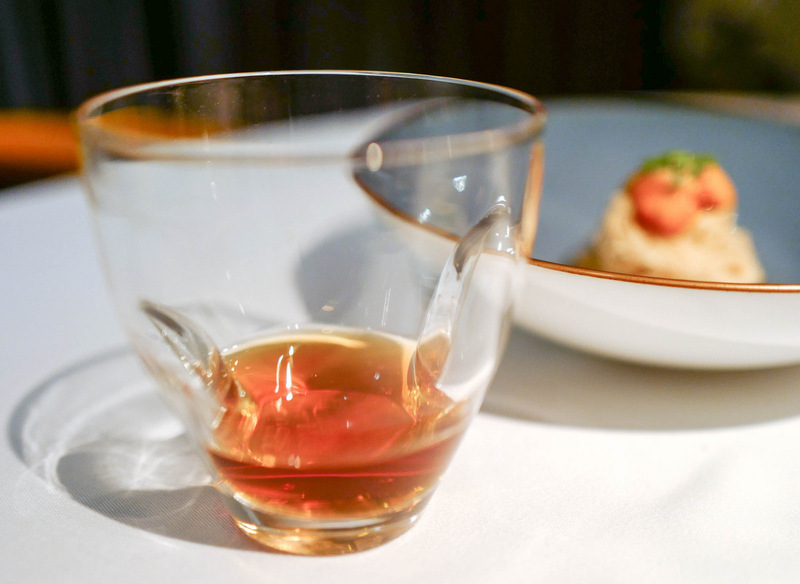 (with a splash of room-temperature water that opens up the cognac further), both become a revelation, a beautiful union between seafood's fresh, creamy minerality with complex, long-aged subtleties of the cognac that linger on the palate with a finish full of character. 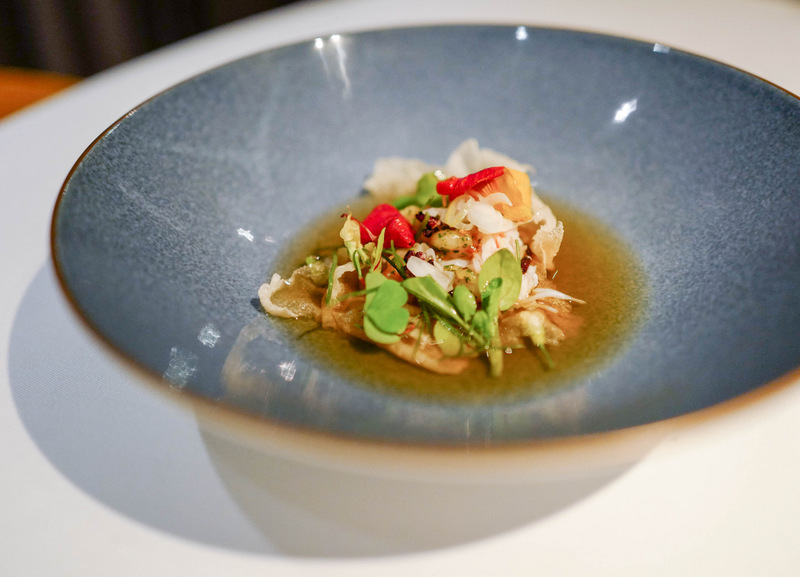 Octopus from Galicia is next, luminously bolstered by burnt leeks in dark rye crumbs, green papaya & green gazpacho to encapsulate the essence of this course's theme, Wood Crunches, harmonised perfectly with Hennessy X.O. (blended with warm water this time) that flows with bold oak notes interlaced with vanilla, simultaneously & surprisingly rustic & refined. 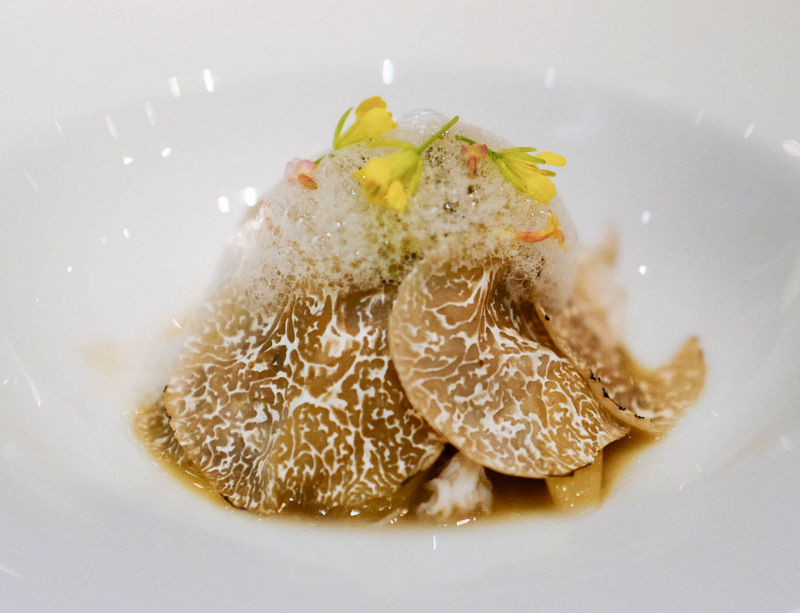 Next is a crustacean two-hander - Japanese snow crab & Sicilian prawn consomme infused with lemon balm & DC's garden herbs, rich in taste & texture, fulfilling in body & balance, succeeded by a masterful medley of snow crab sharpened by nam jim, blanketed with black summer truffles, lime foam & fragrant flowers (again, from DC's own cultivation). 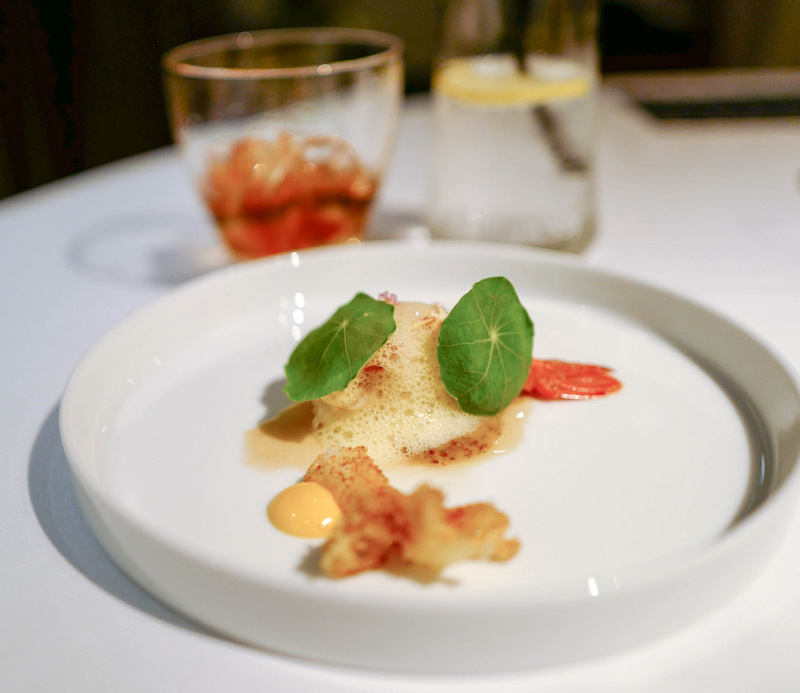 The nam jim sauce (a nod to the inspiration of Darren's Thai wife) furnishes this course's Spicy Edge, wedded with Hennessy X.O. 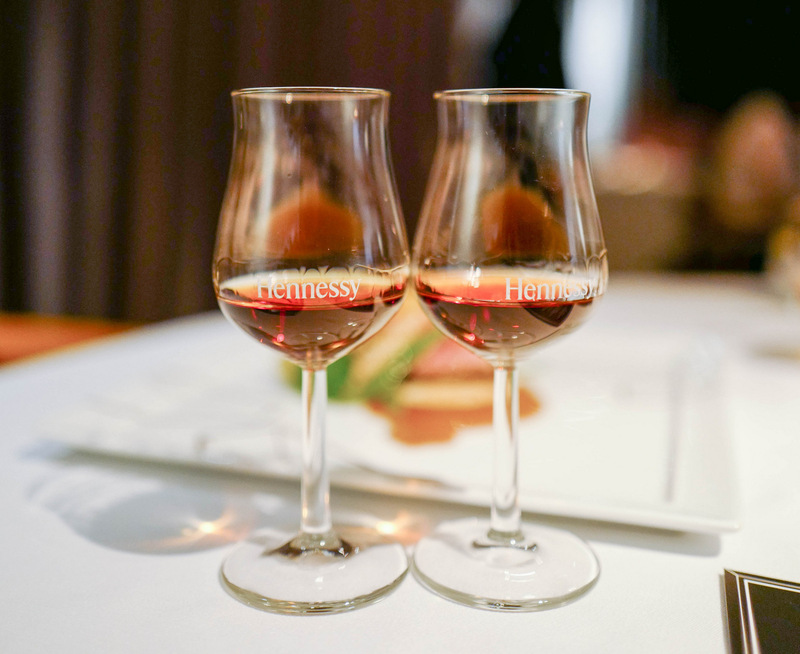 (with a splash of water) to release peppery dimensions with a sumptuous mouthfeel that defines Hennessy's 250-year-old heritage. After a reinvigorating, pleasingly patterned palate cleanser comes corn-fed chicken sourced from Rani's Organic Farm in Sungai Buloh, tasting like fowl should, marinated in Balinese bertutu spices, with vegetables & vinaigrettes, their vibrant colours providing the vivid backdrop for Flowing Flame, a pairing of purity for Hennessy X.O. with a splash of cold water & ice, rounded & robust in body & structure, its substance & sensations representing cognac's time-honoured distillation process. 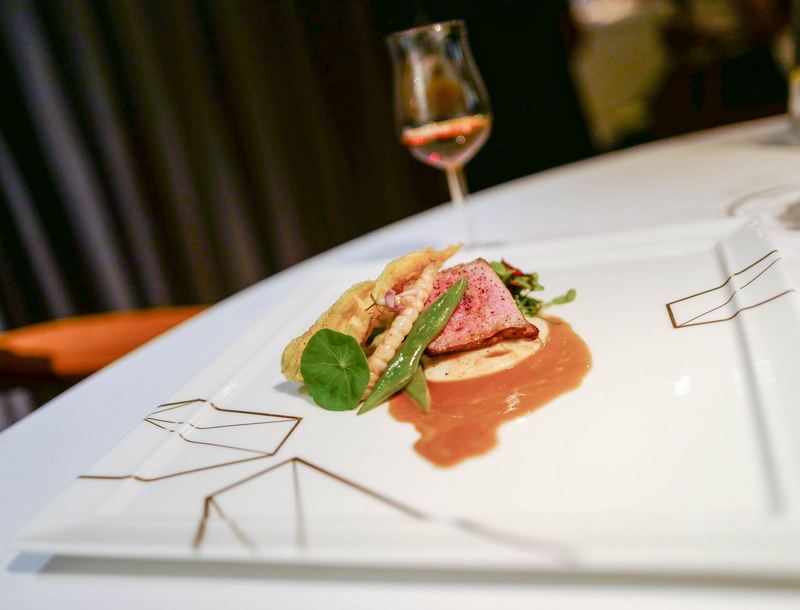 Italian veal fillet poached in milk & grilled with foie gras emulsion & Cambodian red kampote pepper (served with gorgeous Laguiole steak knives) brings on Rising Heat, in synergy with high-strength Hennessy X.O. 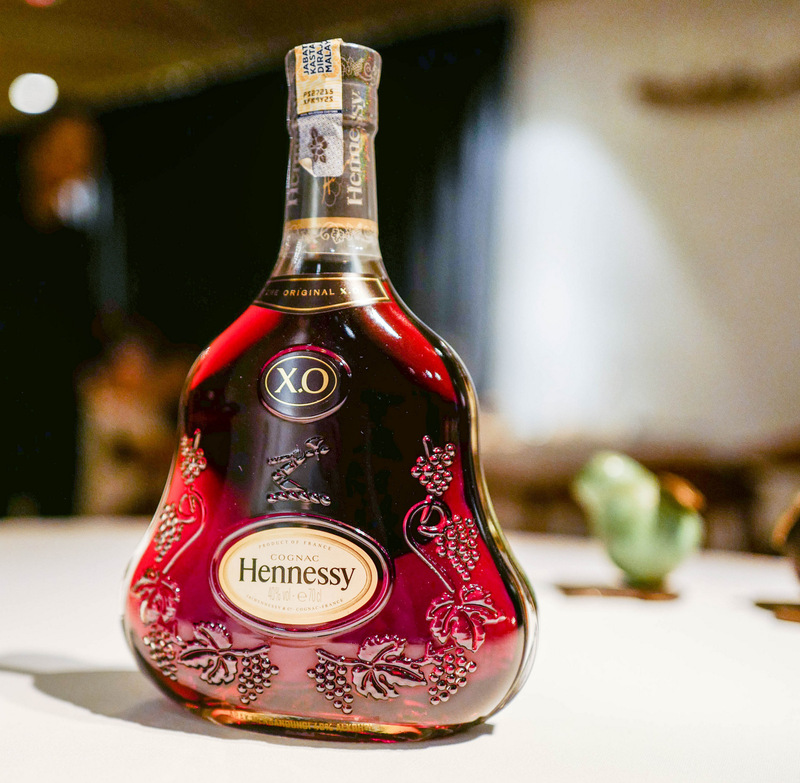 served neat to underscore its smooth, concentrated pungency, allowing diners to finally absorb the unflinching, intense intricacies of Hennessy X.O. that raise the mercury. Chocolate Lull draws us to the inevitable conclusion - a compelling DC dessert of 100 percent Arabica coffee ice cream with spiced hairy bananas, M'Hencha Moroccan cake & lemon chantilly finds its match in Hennessy X.O. served neat, combining for dark, silky voluptuousness. 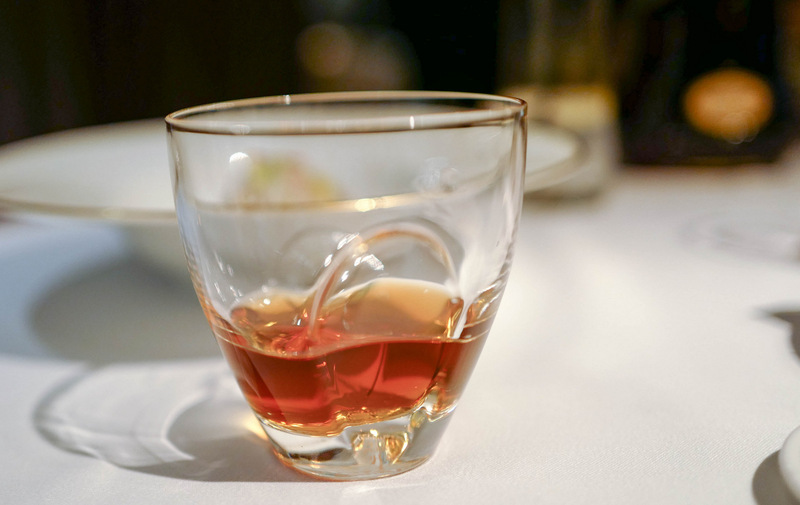 If you're a cognac enthusiast, the Hennessy X.O. 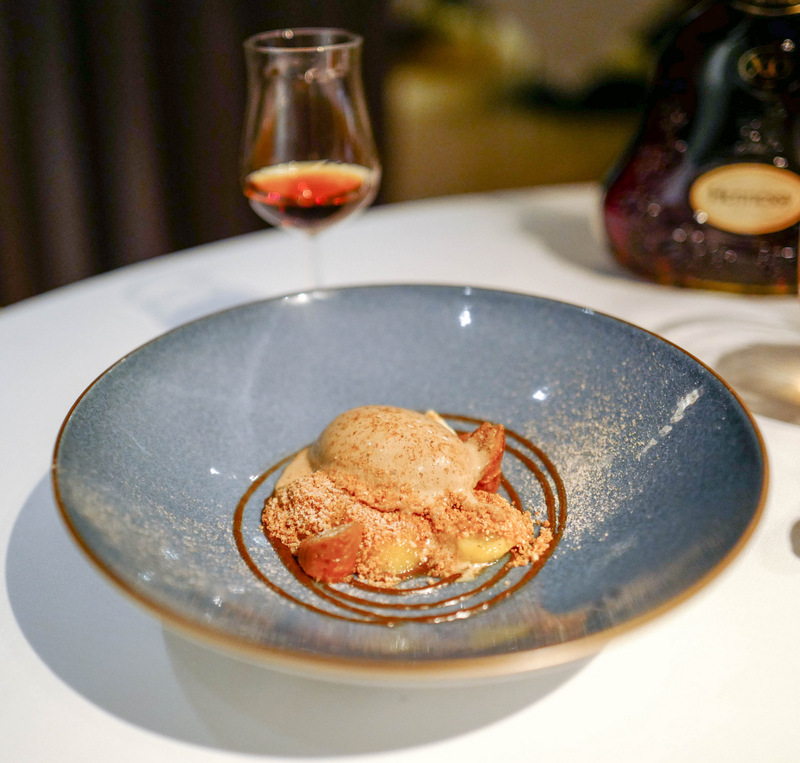 Odyssey is an engaging experience in how your favourite drink is a versatile foil for food; if you're new to cognac, this is a voyage of discovery to ignite what could become a lifelong passion for Hennessy. Many thanks to Moët Hennessy Diageo Malaysia for having us. 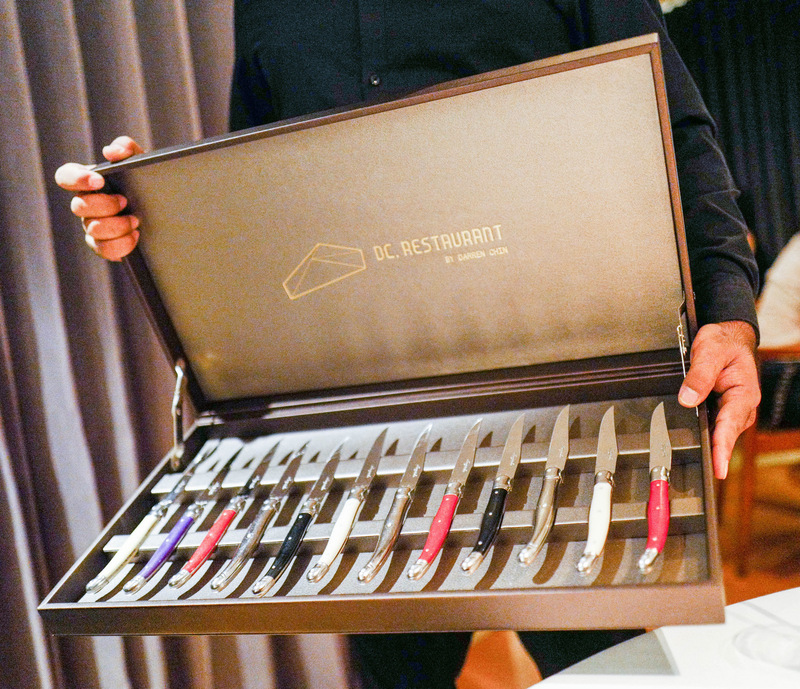 DC Restaurant is at 44 Persiaran Zaaba, Taman Tun Dr. Ismail, Kuala Lumpur. 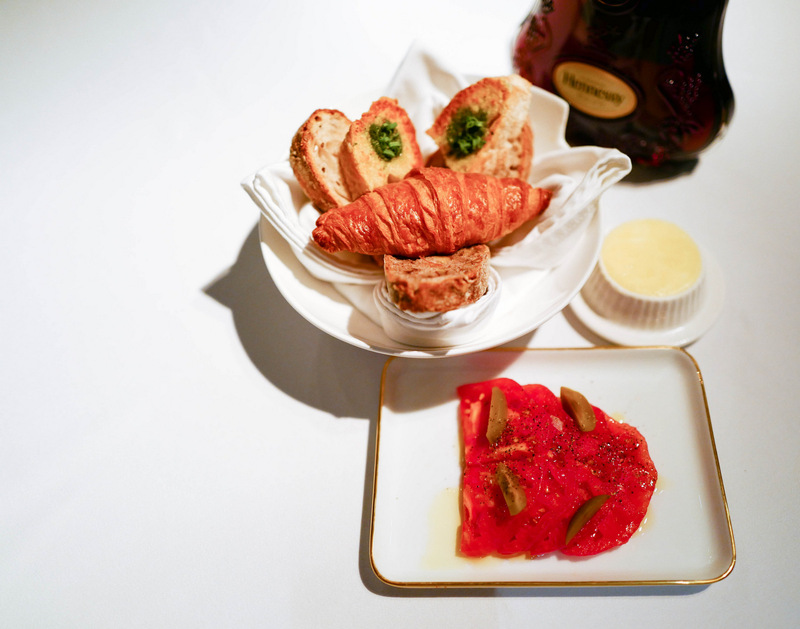 This Hennessy thing for me is really really posh fine dining. 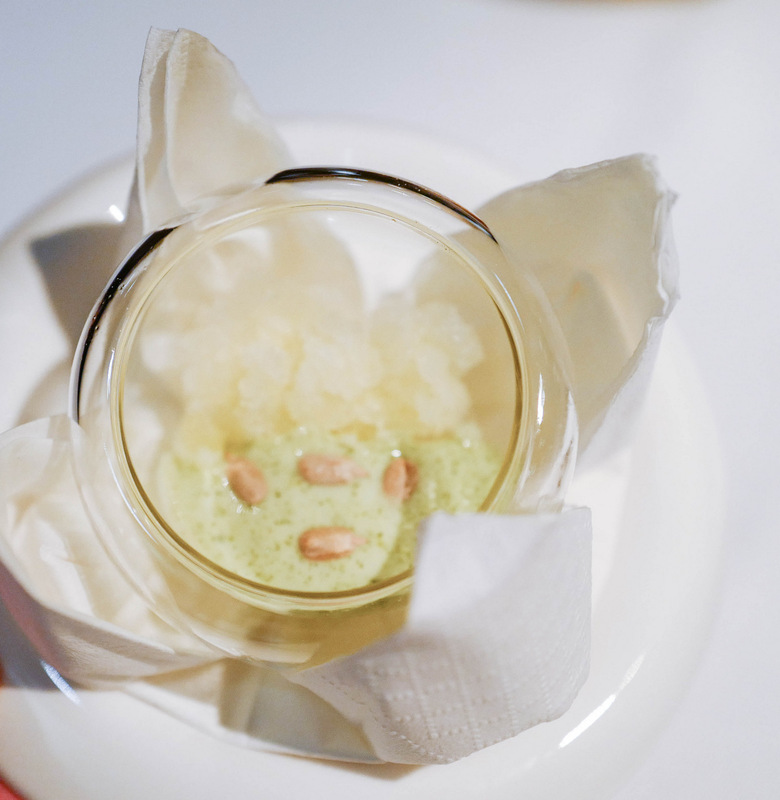 People always rant about the small servings but for mw they are really good tasting and enough serving for everyone! I used to buy this at the duty free shops when we went on holiday abroad, a bottle each so two bottles each time. Wow! This fine dining is fabulous. 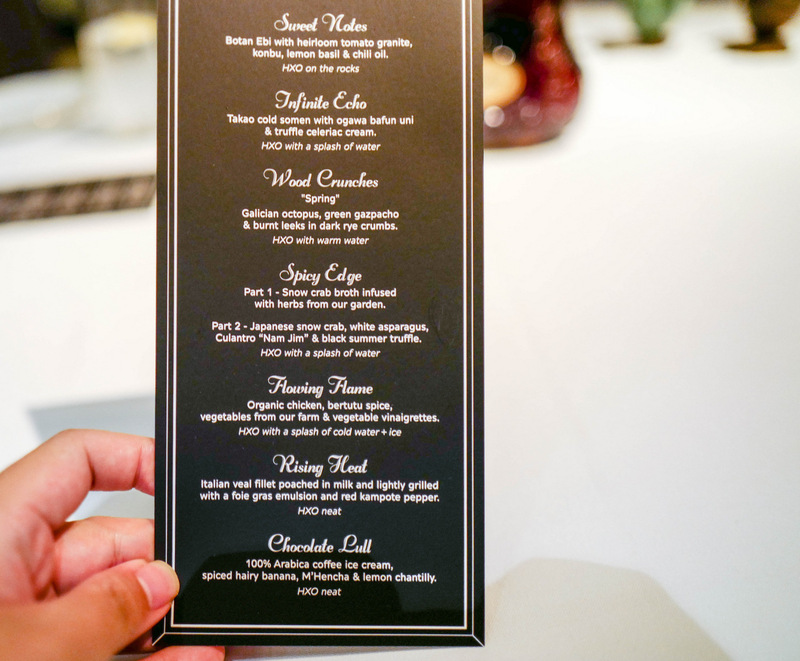 I can imagine the delicious meals to be served with the best quality Hennessy XO. So smooth and great. Beautiful location for a fine liquor pairing.